Kings Park’s annual concert series kicked off this weekend, with a two-part extravaganza across Saturday and Sunday nights. Saturday’s lineup was packed with Australian rock royalty, including the legendary acts Hoodoo Gurus and You Am I. 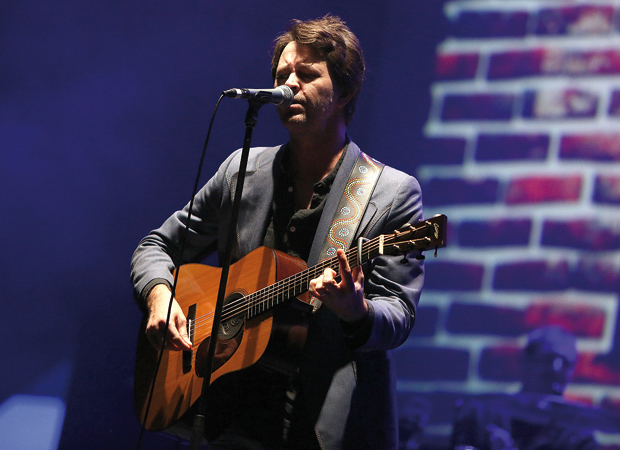 Not to be outdone, Sunday’s lineup featured a stellar list of stars, headed by Australia’s prodigal son Bernard Fanning. Fanning has been touring hard since the drop of his second solo album, Departures. His set combined a number of tracks from this recent release, as well as from the wildly successful 2005 Tea And Sympathy. Opening the set was the upbeat, country-inspired Thrill Is Gone, complete with mandolin. A series of rock anthems and ballads followed, including the lovely Departures (Blue Toowong Skies), complete with thick four-part harmony, and the ballad Watch Over Me, which had the whole audience captive. On the other side of the coin, tracks such as the country-inspired Yesterday’s Gone and rock anthem Limbo Stick had everyone up and dancing. Fanning closed his set with a double encore: first, the exceptionally popular anthem Wish You Well, followed by an all-in, super-happy, love-fest cover of the George Harrison classic What Is Life. Almost upstaging the main act, The Cruel Sea gave a pumping set as the first support act. Drawing from their instrumental roots, the band opened without front man Tex Perkins, reminding the audience of their individual musicianship. Other supports included Queensland group Band Of Frequencies, Perth boy Bob Evans, and the minty fresh Sarah Blasko. Evans played a shortened set, with a stripped back band. Queen of the dusky vocals Sarah Blasko followed him, playing with the crowd, teasing and twirling round the stage. Blasko’s set was chilled out, supported by only two other musicians. Highlights from Blasko included God Fearing and Cast The Net, both sultry numbers from her 2012 album I Awake. Rounding out her set was the harrowing Not Yet, in which synth and vocal lines played in unison, for a haunting and beautiful effect. An Evening On The Green offered the adult fans of Fanning and The Cruel Sea an opportunity to reminisce about seeing their favourite bands in dingy pubs from the comfort of a fold out chair, with a bottle of Verve in hand. This type of concert is an increasingly popular way of tapping the 30-45 year old market; combining excellent music with comfort and a bedtime before 11pm. Personally, if this is what my mid-30s have to offer, bring it on.